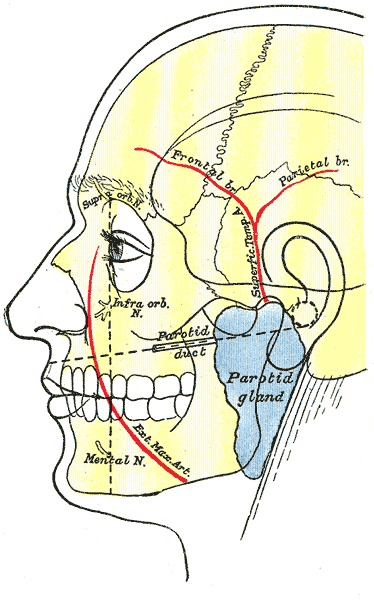 Outline of side of face, showing superficial temporal artery in red. (to left of ear.) Grays Anatomy 1918. 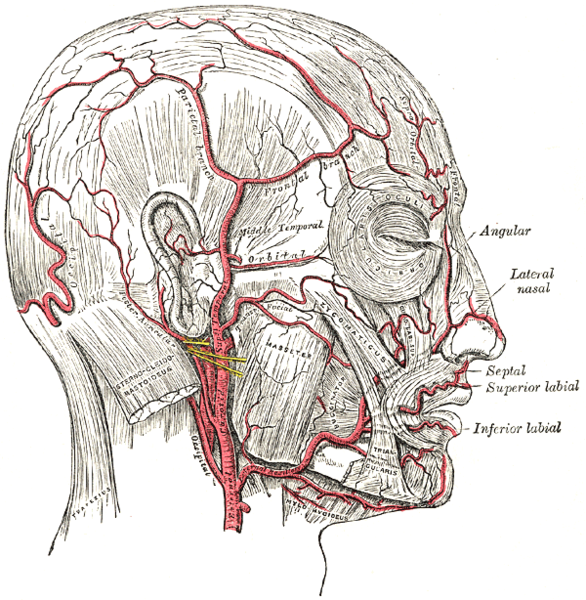 The superficial temporal artery is a major artery of the head. Arteries are blood vessels that carry blood away from the heart. The superficial temporal artery is often affected in giant cell arteritis which is also called temporal arteritis. Sometimes the artery is biopsied to get a correct diagnosis. Giant-cell arteritis is also called GCA, temporal arteritis, Horton's Disease or cranial arteritis. It is more common in women than in men and in people over the age of 55. The superficial temporal artery is enlarged in Migraine attacks.